As summer approaches, we take a look at one of the up-and-comers to the high school stage. After a good run, the 14-year-old and eighth-grader at Shorecliffs Middle School, will soon be en route to high school. 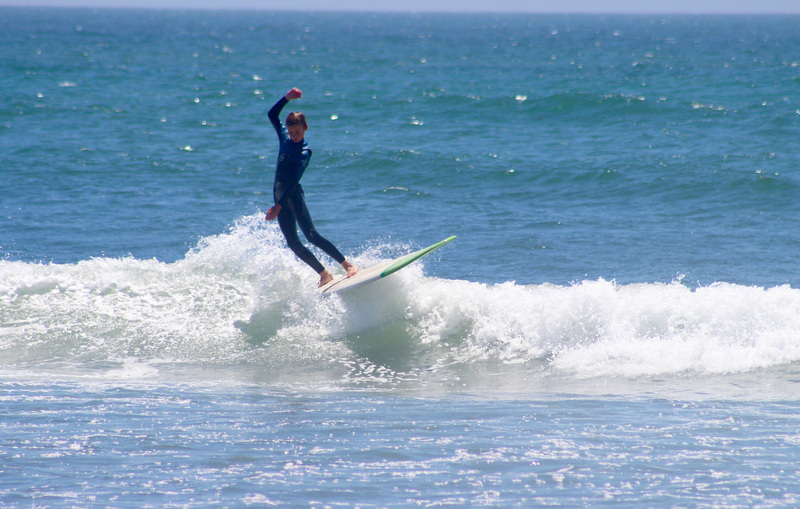 Holding the Scholastic Surf Series state title for middle school longboarding and the NSSA state title for middle school longboarding, Sautner can cross-step with the best of them. All the competitive success aside, at the end of the day, Sautner’s stoked just to be a surfer. “My favorite thing about surfing is being outside with nature, all the new ways you can ride waves based on the different boards you ride, and all the interesting places surfing takes me,” he said.